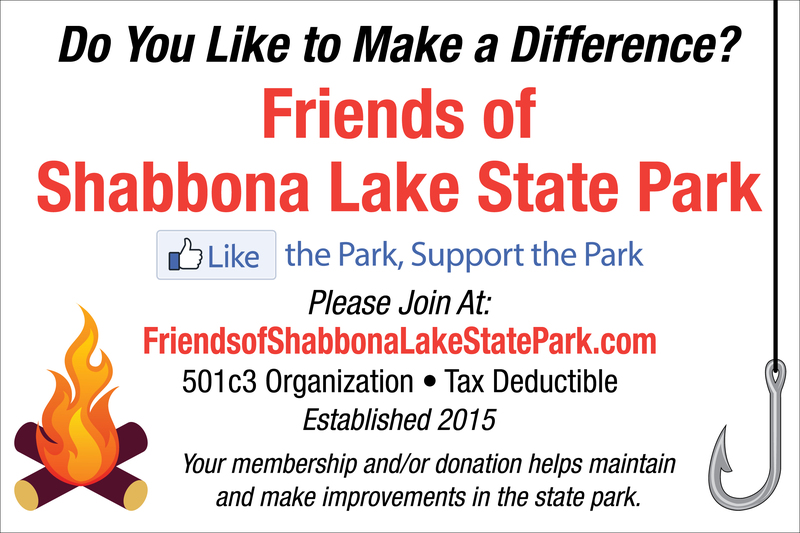 3 New giant 4′ X 6′ Friend’s Recruitment signs placed in Shabbona Lake State Park, along with brochure holders. Shabbona Lake State Park, over the years, has been enhanced by many local Clubs and Foundations which have made this State Park the envy of other state facilities. We are off to another great year. Major Projects are already completed. 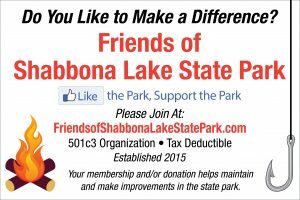 Thanks to the Fox River Valley Muskie Club, the Quad County Hawg Hunters, the Shabbona Lake Sportsman Club, the Friends of Shabbona Lake State Park and a very generous Donation from the DeKalb County Community Foundation. 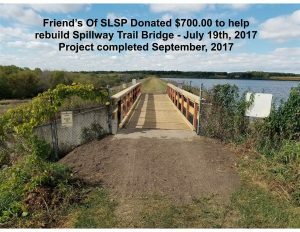 Project # 1 – On Sunday 8/27/2017 Friends members Spencer Myers, Mike Tuman and Clint Sands installed over twenty new cleats on the public boat launch docks purchased by Friends of Shabbona Lake. Before this there was very few places to tie up the boat to the docks. 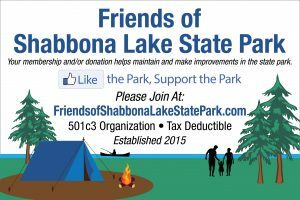 Project # 2 – In 2016 the Friends of Shabbona Lake received a $12,000 grant to repair a fish rearing pond located at Shabbona Lake State Park. Kyler Excavating from Malta removed and replaced a drain and valve in the 5 acre rearing pond. Kyler’s also reshaped the pond basin so that the pond would drain efficiently. This work was done in two stages, in the Fall of 2016 and the beginning of 2017. 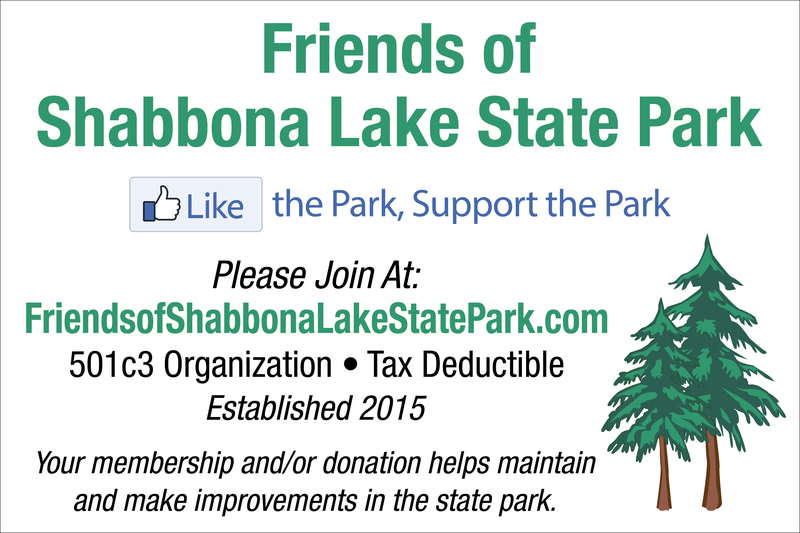 The funding for this project was from the DeKalb County Community Foundation Grant of $12,000. The Project is done. 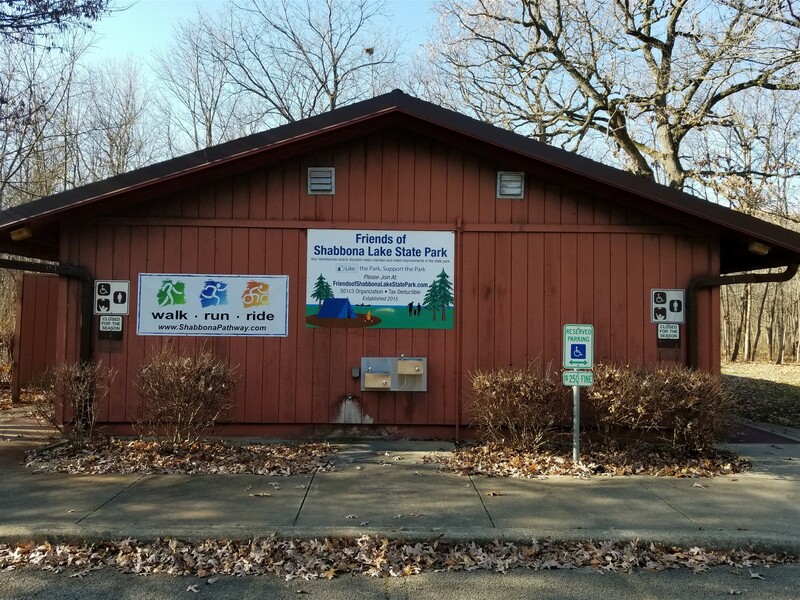 Project # 3 – The Shabbona Lake Sportsman Club, with help from members of the Friends of Shabbona Lake, assisted IDNR Fisheries Biologist David Wyffles, has constructed 15 new fish cribs to be placed into Shabbona Lake. 10 have already been placed in the lake as new fish habitat. The lake is a man-made impoundment constructed in the early 1970’s. Originally there were 47 wooded fish cribs placed on in lake basin before it was flooded. Over the years some cribs have deteriorated. The cribs are sometimes referred to as “fish houses”, in which smaller fish can escape from larger fish. 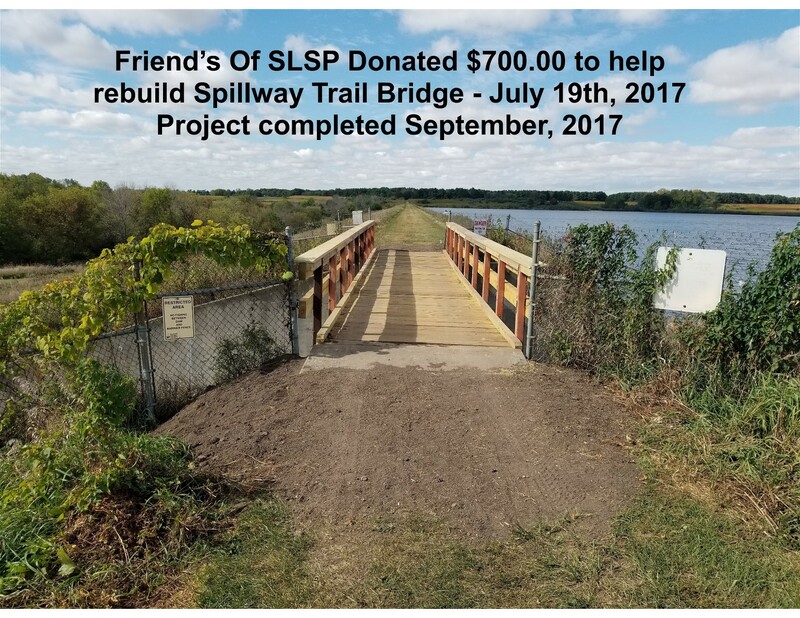 Project # 4 – Fox Valley Muskie Club ($250.00), Quad County Hawg Hunters ($750.00), Friends of Shabbona Lake State Park ($500.00) and the Shabbona Lake Sportsman Club ($500.00) all donated to help repair a Spillway Barrier Fence at Shabbona Lake State Park. As the water leaves Shabbona Lake it exits down a concrete spillway. Unfortunately, sometimes large fish also escape down the spillway into Indian Creek. Years ago, a barrier fence was placed 200 yards downstream to allow the water to go thru, but it captures the large Muskie and Walleye in the 200 yard creek. 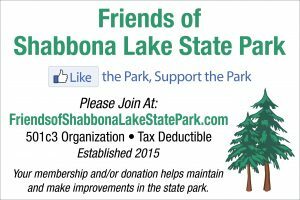 The captured fish are then returned to Shabbona Lake. Kyler Excavating completed the repairs. 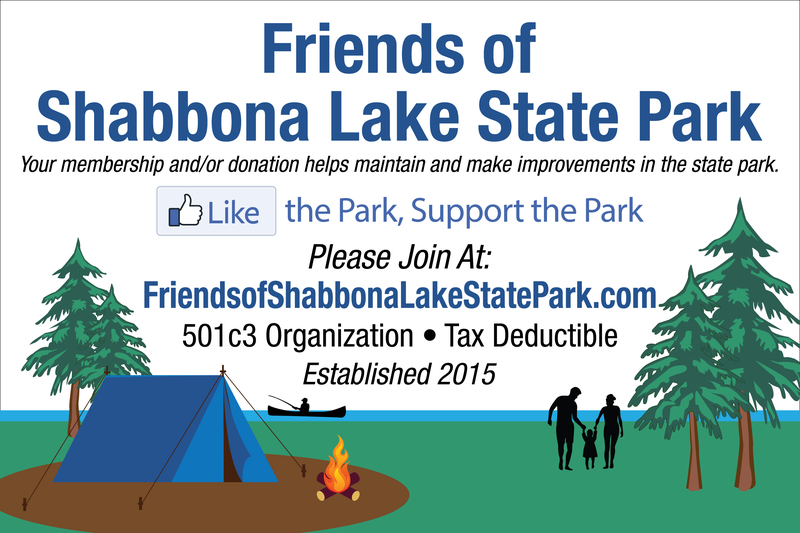 Friends has received $1,000.00 in Donations from the Bill & Bonnie Mullins Family Endowment to help repair the Kids Fishing Pond in the Shabbona Lake State Park Campground!!! Friends received a $12,000 Grant from the DeKalb County Community Foundation to help repair the Smallmouth Rearing Pond!! !